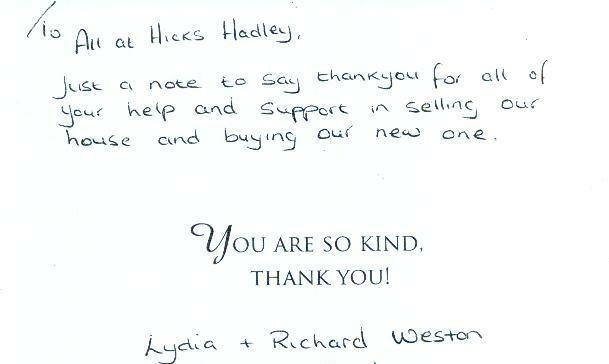 I would like to thank you for the excellent service received when selling my property. Following a recommendation from my neighbour who sold with you I decided to do the same. Many years ago I used an agent in Birmingham when I moved from there and a different one from Halesowen to buy the one I just sold and from these experiences I had the opinion that estate agents do very little for the money, and what they do they do badly. Fortunately this was not the case with Hicks Hadley. 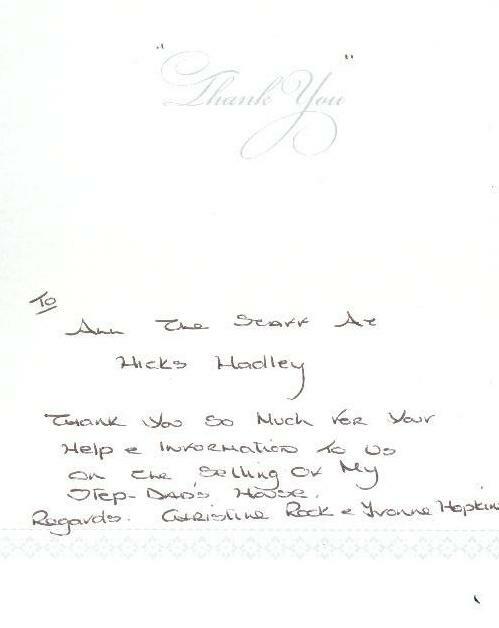 Right from when I popped in and informally spoke to Sue to the day I moved all went very well and I felt that you really worked for my money and used your expertise and judgement. I think I dealt with everyone at the Halesowen branch at some point and all were friendly and helpful. I was particularly pleased with the high quality photographs, viewing arrangements (it was clear that you really did have buyers waiting), the negotiations, advice and reassurance and the speed between yourselves and the excellent solicitors you recommended. It was as though it was your own house you were selling.